COMPACT:Folds into zippered inner pocket to fit anywhere.Unfolds from pocket to backpack. LIGHTWEIGHT(320g) and ROOMY(30 L):Large Size, 30 Liters Capacity.Several compartments (big & small) to store and carry your items comfortably.Nylon mesh on two sides for storing water bottle, inner zip pocket for storing small items, a large front pocket to store utilities, and money pouch for quick and hassle-free access.Breathable mesh shoulder straps, bottle holder on both sides. 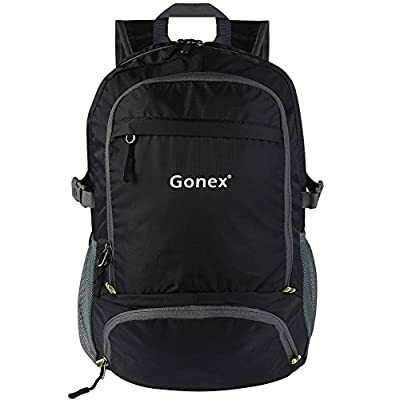 DURABLE:The backpack is made from highly rip and water resistant nylon fabric, provide strengthen and long-lasting performance with minimal weight. 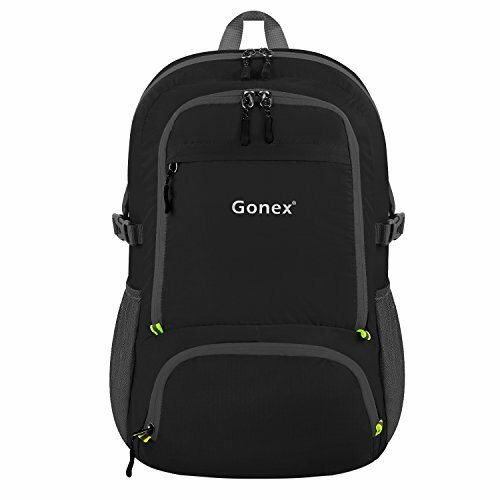 Stress points are reinforced with bar tacking for increased longevity.Durable 2-way Abrasion Resistant SBS Metal Zipper across the backpack. STORAGE SPACE & KEEP THINGS ORGANIZED. LIGHTWEIGHT(320g) and ROOMY(30 L):Large Size, 30 Liters Capacity.Several compartments (big & small) are used to store and carry your items comfortably.Nylon mesh on two sides for storing water bottle, inner zip pocket for storing small items, a large front pocket to store utilities, and money pouch for quick and hassle-free access.Breathable mesh shoulder straps, bottle holder on both sides. DURABLE:The backpack is made from highly rip and water resistant nylon fabric, providing strengthen and long-lasting performance with minimal weight.Stress points are reinforced with bar tacking for increased longevity.Durable 2-way Abrasion Resistant SBS Metal Zipper across the backpack.Besides,there is a front waste strap! STORAGE SPACE & KEEP THINGS ORGANIZED. Warranty:Our Promise-Lifetime Warranty-Exchange, return. Compact Size:17 x 17 cm (H x W x D);Unfold Size:48 x 30 x 20 cm (H x W x D).